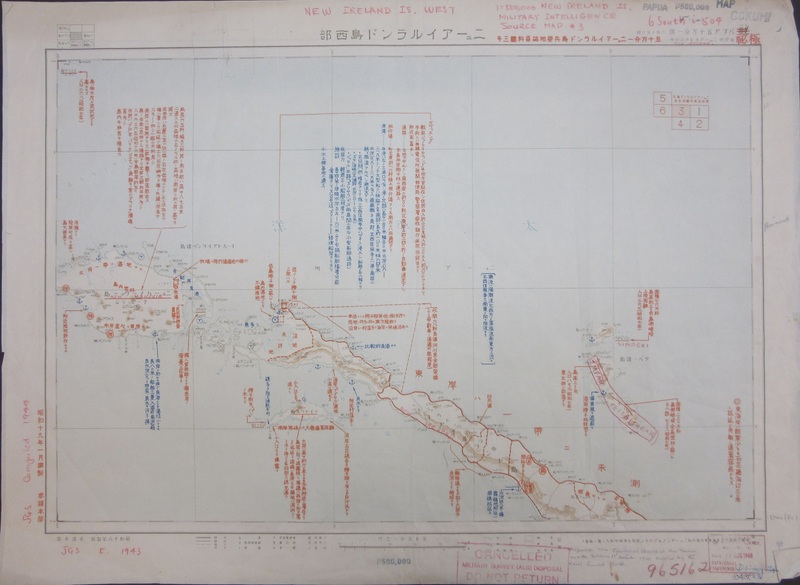 From plotting troop deployment to setting out enemy positions to showing the ground conditions for tank movement maps have proved vital in the planning and carrying out of military operations in time of war. 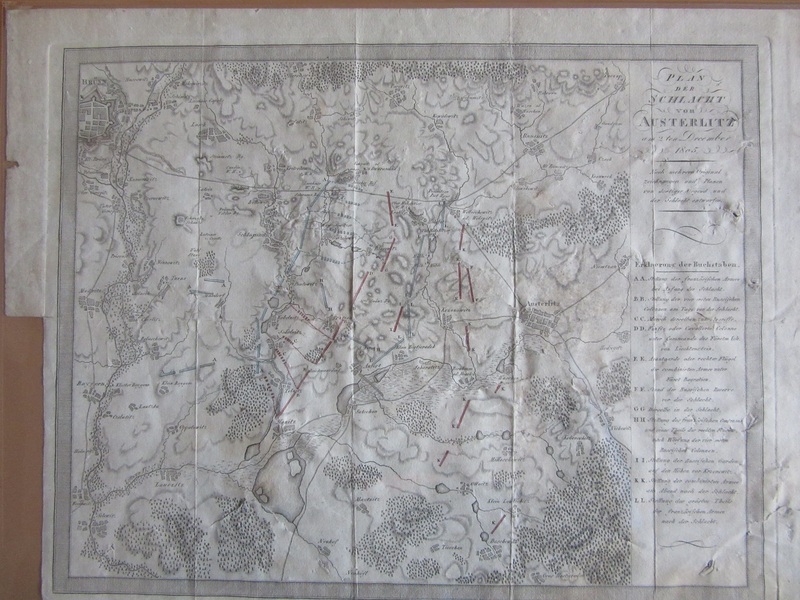 The Bodleian’s holdings before the Boer war tend to be of mapping published after the event, mainly to illustrate books, such as this plan of the battle of Austerlitz printed in 1805. 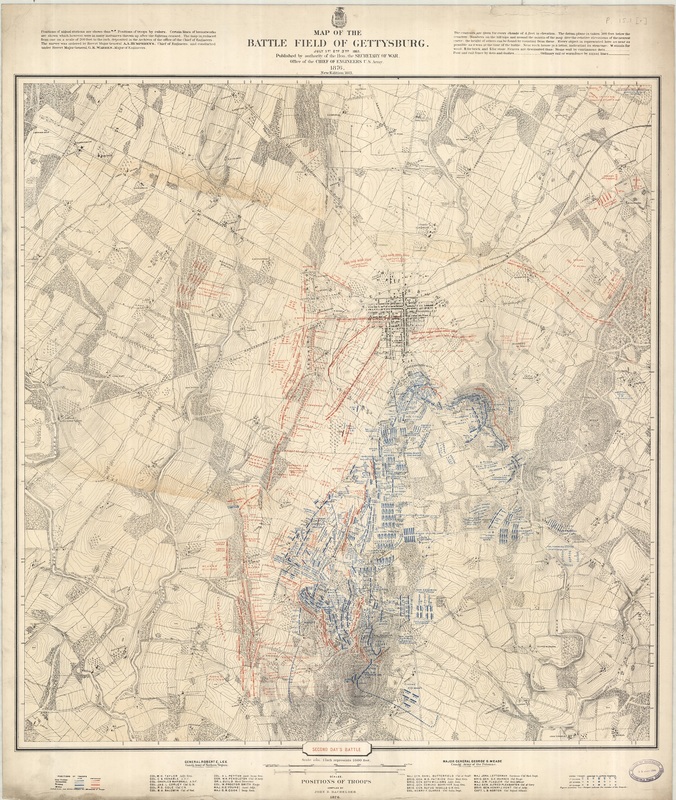 Another example is this sheet from a three map set showing the course of the three-day battle of Gettysburg printed not long after the decisive battle of the American Civil War in 1876. 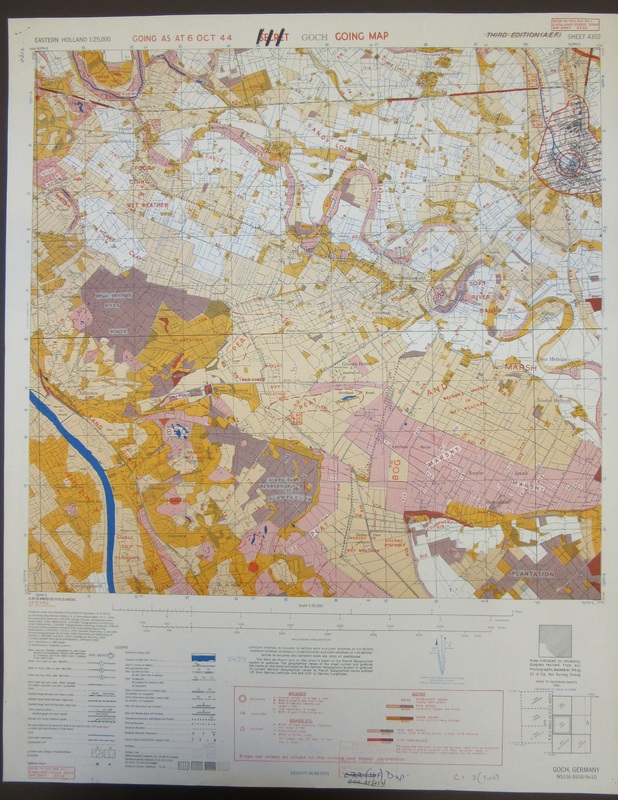 The wars in South Africa saw an increase in maps produced during the conflicts. 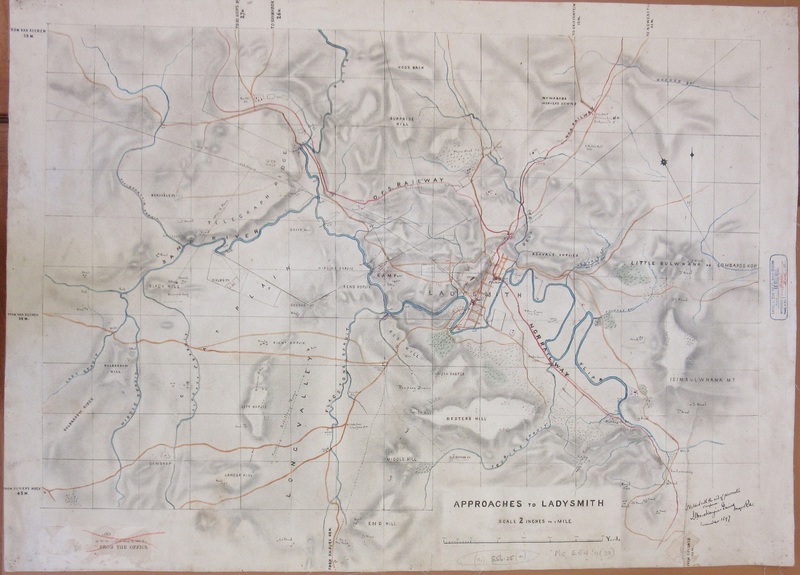 This manuscript map of Ladysmith made before the siege in 1899 is just one example of a number of manuscript and printed maps held in the Bodleian for the Boer and Zulu wars. 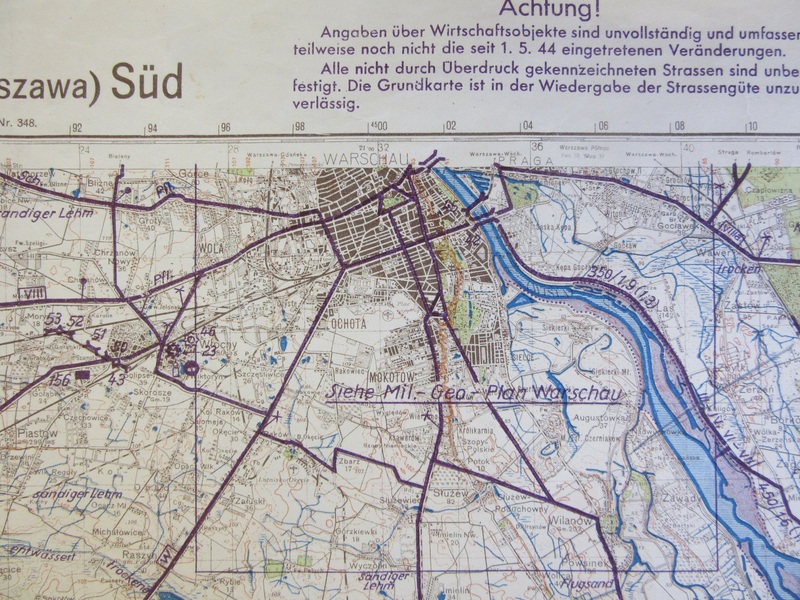 The map mentions how it was sketched with the aid of a prismatic compass. Ladysmith was the headquarters of the British Forces in Natal against the Boer Army during the Second Boer War. 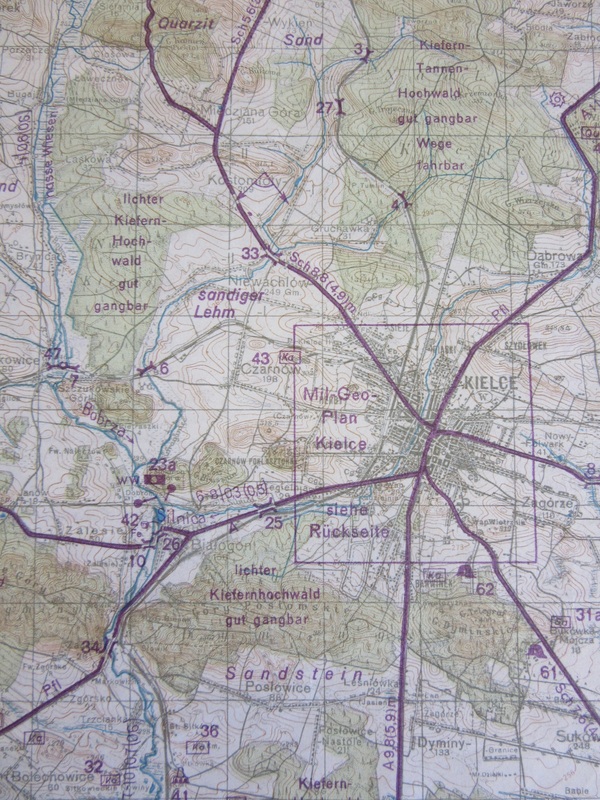 The huge technical demands and the importance put on accurate artillery forced a huge improvement in the production of maps by both sides in the First World War and maps in their millions were produced, often in the later stages of the conflict in mobile printing workshops in the field. 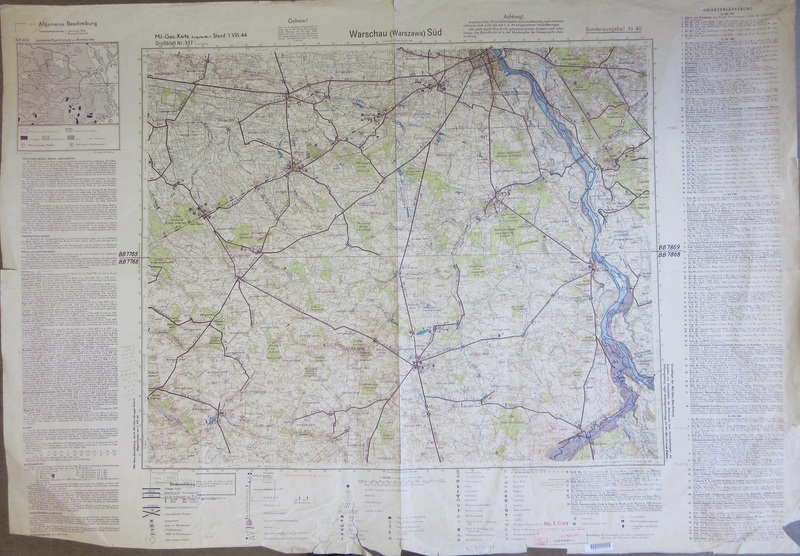 As well as the more famous trench maps early tank maps were produced as well as artillery barrage mapping and maps of no-mans land. But it was with the Second World War and the global aspect of the threat of invasion by land and sea that military mapping went to levels not seen before. 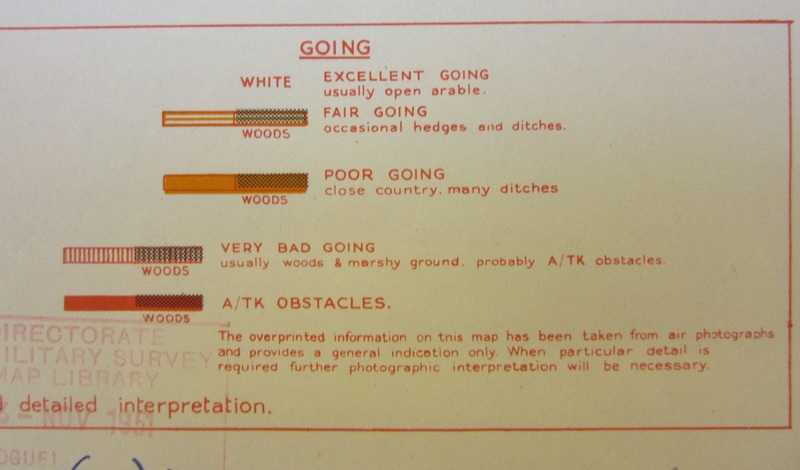 Goings maps, which showed ground conditions for the movement of tanks, enemy defensive positions, not so much from an artillery point of view but more so for troop invasions, and general intelligence maps, showing ground conditions, enemy positions and strengths. 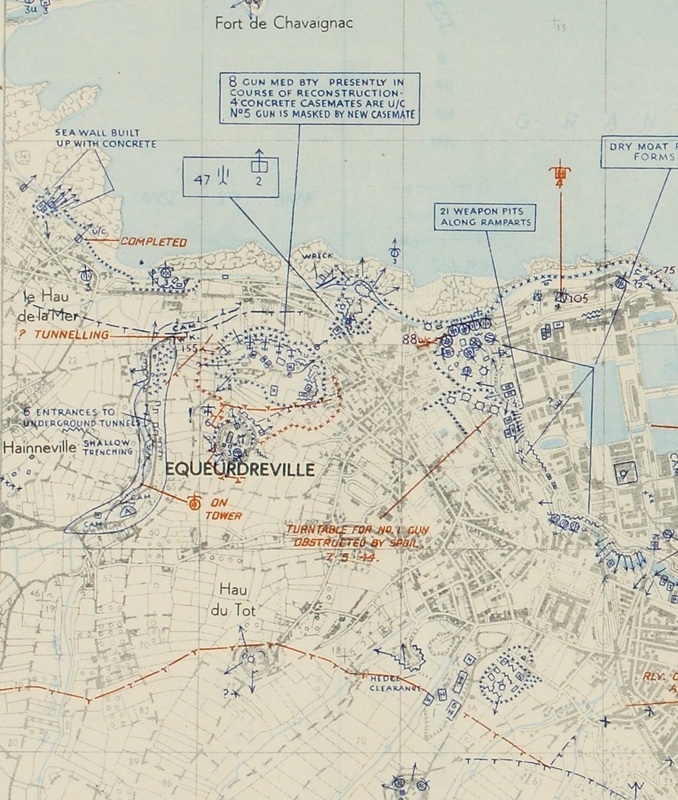 Take this enemy defences map of the area around Equeurdreville, on the western outskirts of Cherbourg. 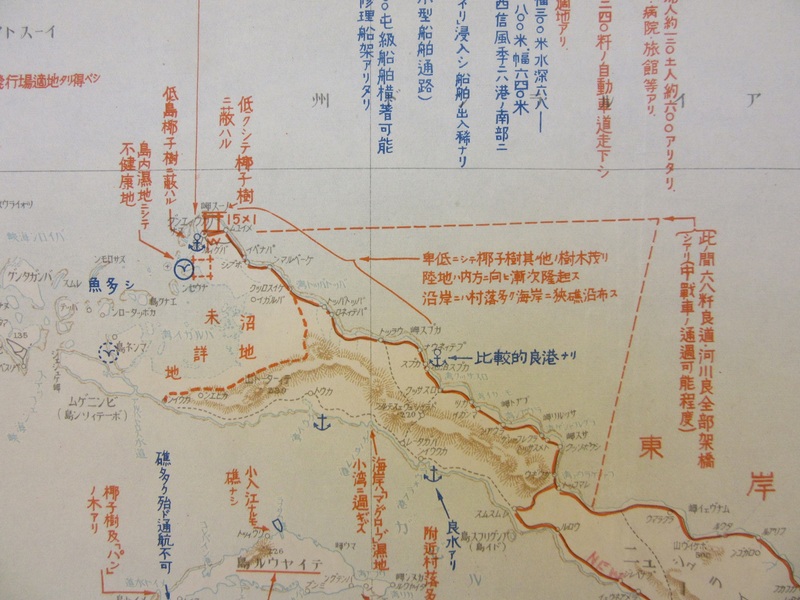 All the blue symbols mark enemy defences and artillery, the location of which had been gathered from aerial photography and observations from the Resistance or off-shore reconnaissance. 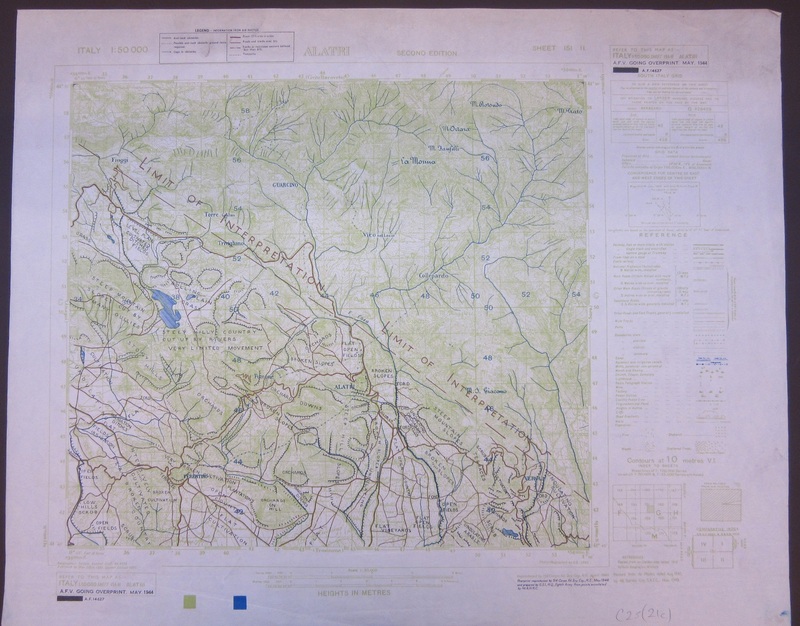 with an extract from a another sheet in the series of the area around Kielce showing going information (sandiger lehm = sandy clay, lichter kiefernhochwald gut gangbar = light pine forest well passable). This entry was posted in Uncategorized on 6 August 2018 by stuart.